﻿ Aimar: "Without Messi, Cristiano Ronaldo would be the undisputed best player of the World"
14.11.2011 » Aimar: "Without Messi, Cristiano Ronaldo would be the best by far"
One of the few classic number 10 midfielders still active in football, Pablo Aimar, currently plays for SL Benfica in Portugal, but remains alert to the Spanish "La Liga". Aimar was quoted saying that Messi's can be matched with Diego Maradona in terms of talent, but he also praised Cristiano Ronaldo, by noting that the Portuguese player goalscoring stats are unbelievable and that CR7 would be regarded as the best football player in the World by far, if it wasn't for Messi. In a somehow surprising statement, Barcelona's Lionel Messi had already admitted in the past that Pablo Aimar is indeed his idol in football. Appearently, it was now time for Pablo Aimar to return the compliments and rank his fellow countrymen as one of the best players of all time. However, the Argentinian midfielder managed to avoid entering into one of the most controversial debates of modern football, which is drawing comparisons between Lionel Messi and Cristiano Ronaldo. 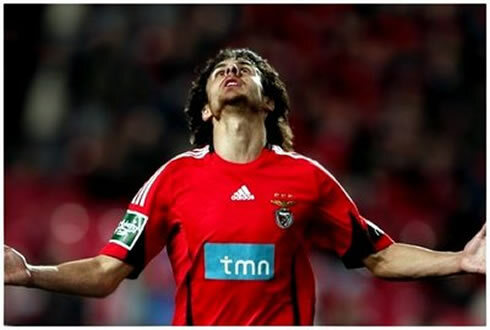 Aimar: "Over the last years, I never thought it would be possible to see a player as talented as Diego Maradona. However, I now realize that Barcelona's Lionel Messi is actually at the same level as Maradona and he can also be seen as one of the best players of all time. I think that every Argentinian and football fan around the world should have enough esteem and admiration for both players." Regarding Cristiano Ronaldo, Pablo Aimar noted that the Portuguese impressive stats are not normal and that all the prasies he has been getting are well deserved. 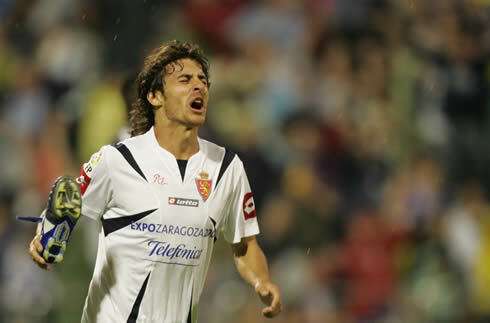 Aimar: "Cristiano Ronaldo statistics are from a different time. Scoring more than 50 goals in a single season is completely absurd! ", pointed out the Argentinian before adding: "There aren't many players out there who can score 50 goals in a season, but Cristiano Ronaldo seems to be able to repeat that achievement. His numbers are incredible." Aimar: "It seems certain to me that if Messi wasn't around, Cristiano Ronaldo would be the undisputed best player in the World, and by far..."
Before finishing his remarks, Aimar still commented that the two Spanish giants are on a league of their own, even if we could put them against the other top European clubs. 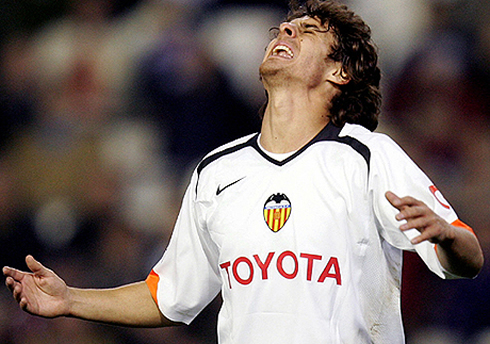 Aimar: "I think that if we could allow that Chelsea, Manchester United, AC Milan, Bayern Munich or Inter Milan, played in the same league as Real Madrid and Barcelona, the two Spanish clubs would still finish on top everytime", pointed the 32 years old Argentinian player. Cristiano Ronaldo is now preparing the second clash against Bosnia, which will be held in Lisbon, Portugal, this Tuesday (15-11-2011). You can watch Juventus live stream, Portugal vs Bosnia, for the 2nd leg of the EURO 2012 playoff, in our soccer live streams section. Real Madrid next match is against Valencia, for La Liga, in the 19th of November 2011.